I received my Bachelor's in Psychology from Richmond, The American International University in London and my Masters in Social Work from the University of Georgia. I hold a Certificate in Marriage and Family Therapy through the University of Georgia. I am a member of the Australian Association of Social Workers and am recognized as an Accredited Mental Health Social Worker. 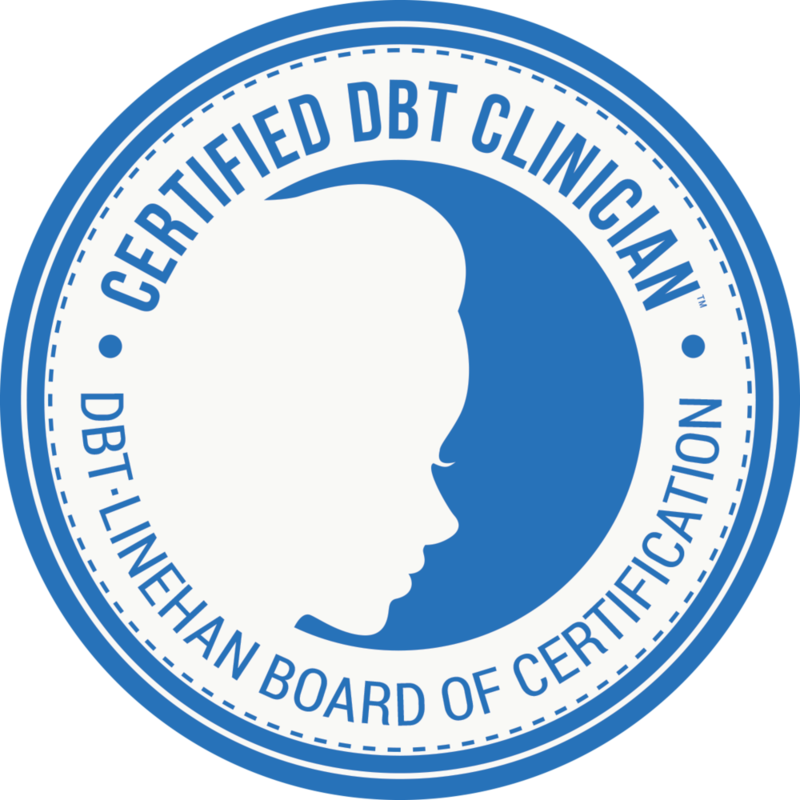 Dialectical Behavioural Therapy (DBT): I'm a DBT-Linehan Board of Certification, Certified Clinician™. This certification is the only certification a clinician may achieve for DBT and ensures clients that the clinician is providing the most effective treatment possible. You may learn more about the certification process through my resources page. I completed my Core Clinical Training through Treatment Implementation Collaborative and have extensive experience providing comprehensive DBT. I'm intensively trained in the DBT Prolonged Exposure protocol and attended an introduction to DBT in Schools. Radically Open Dialectical Behavioural Therapy (RO-DBT): I'm intensively trained in Radically Open DBT (RO-DBT). I've received group supervision from the creator of RO-DBT Dr. Thomas Lynch, consult with trainers internationally and am part of a national RO-DBT team in Australia. Mindfulness Based Stress Reduction (MBSR): I completed an 8 week training for MBSR and incorporate mindfulness techniques throughout the therapy. I've also attended retreats at the Kopan Monastery in Kathmandu and studied meditation at the Sadhana Yoga and Meditation Retreat Centre in Pokhara, Nepal. I'm an advocate for early intervention with child and adolescent mental health issues. I have created and implemented adaptations of DBT for children and worked with my team to adapt RO-DBT skills for adolescents. I feel when working with children and adolescents collaboration with schools, teachers, psychiatrists and parents is vital for coordination of care. My passion is to increase awareness of childhood mental health issues and the effectiveness of DBT and RO-DBT. In the US I worked to present on adaptations of DBT for children at the Texas National Alliance for Mental Illness (NAMI) conference and am currently working on projects to educate Australian mental health leaders on approaches with children. I was born and raised in Houston, TX. I've also lived in London, England and Atlanta, GA. I've permanently migrated to Sydney, Australia and am embracing my new home. Prior to migrating, I travelled the world for 7 months throughout the US, Peru, Europe, India, Nepal and Southeast Asia. I learned invaluable experiences while travelling and immersed myself in the different cultures. I'm an animal lover from ferrets to horses and have enjoyed discovering native Australian animals. My favourite pastime is spending time with family and friends whether it's in person or virtually.